I came up in the 80s and 90s so I remember hot summers. I love hot summer days, not like these punk summers we’ve been having the past few years where there’s a handful of ninety-degree days and double-digit heat indexes. But 2016 has turned out to be a summer of heat wave after heat wave. Here in the Northeast, where we’re coming off a miserable stretch of heat and humidity. The heat index topped out at 113 degrees in some areas. On the hot, lazy, hazy days of a dwindling summer, I long for cooler days and layering my wardrobe. I was thinking the other day that summer clothing can be meh sometimes, at least for me. I’ll throw on a dress in a minute and a cute pair of sandals and call it a day. And with the heat of this summer, I choose comfortable and cool over fashion, but fall is coming so it’s time for me to think about my fall wardrobe. While I was packing up my old apartment I took the time to organized and separate my clothes into seasons which is something that is always on my to-do list, but never got around to, especially when there is clothes in the closets, drawers, plastic storage bins, hampers and laundry bags. Don’t nobody got time to be going through all that stuff. But since I was moving and had to go through everything anyway, I said mind as well do it. The military trend has been around for a few seasons, but for fall 2016 designer are turning to the Navy for inspiration. Sailor pants were seen all over the runways during fashion weeks. 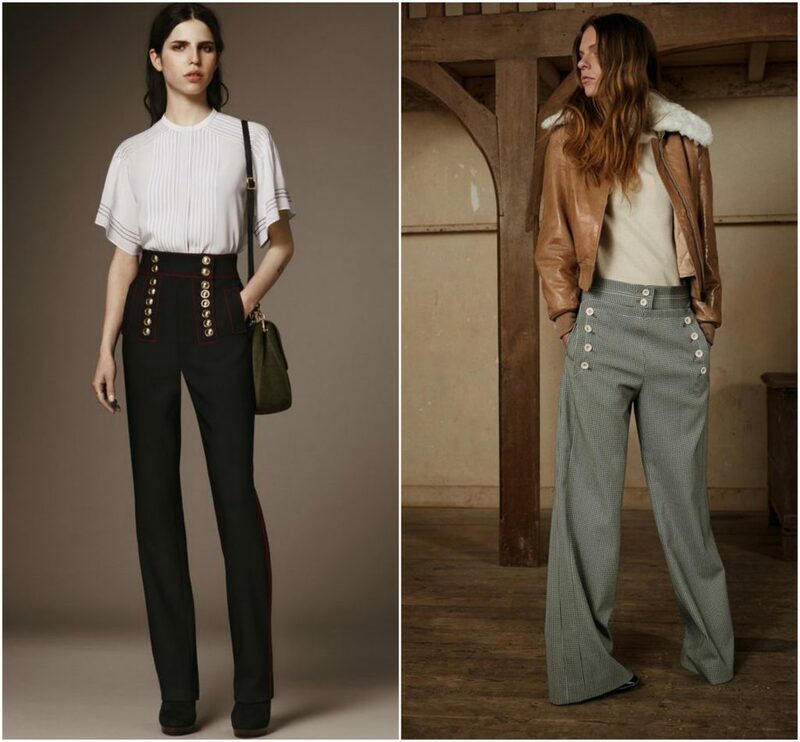 High-waisted, skinny sailor pants are great with a flowy light top, while wide-legged sailor pants look great with closer to the body tops. 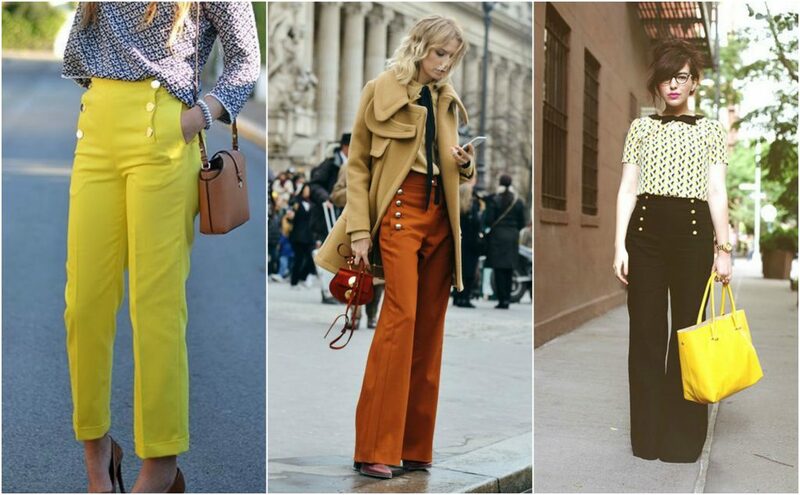 Everything old is new again, and the 70s-inspired flare pants is no exception. 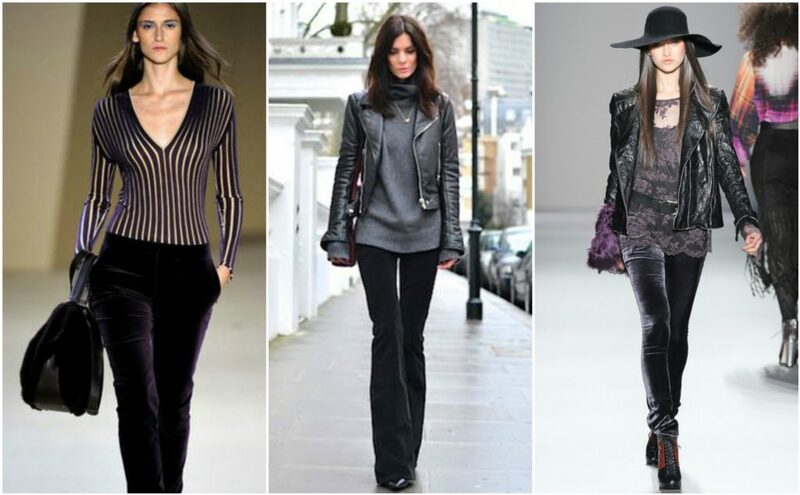 The long forgotten flare pants are making a comeback this fall. 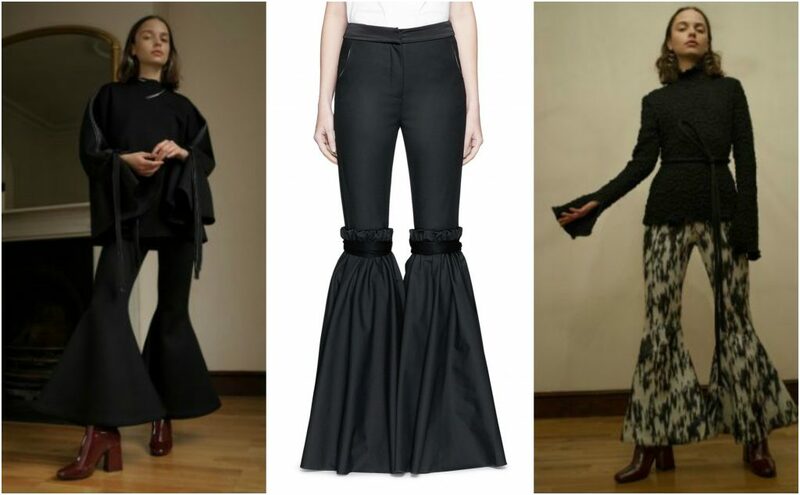 If you choose to wear the flare pant trend make sure you pay attention to proportion and fit. Like velvet, brocade brings a certain opulent to an outfit. Heavy brocades used for upholstery make a statement by itself, just make sure you keep the top simple so that it doesn’t compete with the beauty of the pants. There is an enormous amount of sport pants inspired designs for fall. 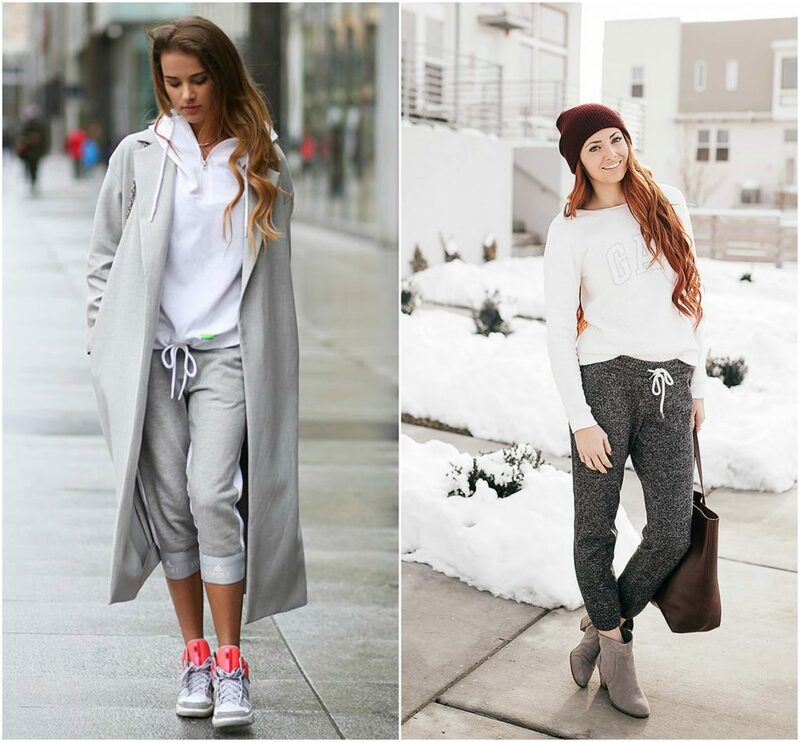 Sport pants can be worn with sports jackets in the same style, with chunky sweaters and blazers. So, there you go, pants for fall. I definitely want to make some brocade pants. I have the pattern, I just have to find the fabric. 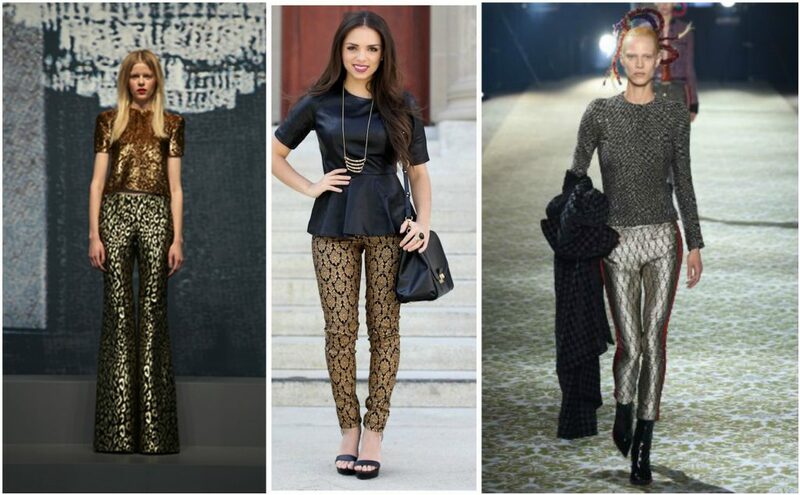 Which fall trends will you be wearing this fall? Next story Why Fear? God Is With Me. Previous story Where have you been lately?